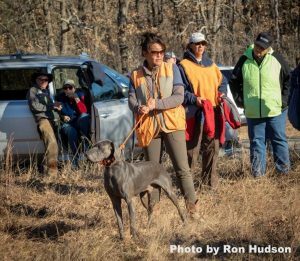 The BWCA was created to protect, promote, and advance the best interests and welfare of the purebred blue Weimaraner, and to continue to bring their natural qualities to perfection through careful breeding practices. This is a club for people who love the Weimaraner breed and in particular the ‘blue’ coat color. We all have been frustrated by the handicaps encountered, the prejudice against and misinformation about the blue Weimaraner. Our goal was to return the blue coat color to equal status with the silver/grays but after an unsuccessful attempt in petitioning the WCA to rescind the DQ, we have to accept the reality of that never happening. We also have determined that the AKC is not allowing ‘variety’ status within breeds. Therefore, this club will begin the process of establishing the blue Weimaraner as a separate breed. We have started a registry for the blue Weimaraner that will transfer over to our ‘new breed’. We encourage all of you to step up and get involved with your Blues in as many events as possible. We also plan on promoting competitive events – such as Ratings Tests very similar to the WCA tests as soon as possible. We have established our Constitution, Bylaws, Code of Ethics, Standard and Breeding Recommendation for the BWCA. While our direction is clear, our path to achieve it is still evolving. This club will be the ‘stepping off’ point for the developing ‘new breed’. We hope to include as many blue owners, breeders and those who just love the blue color to join us in this endeavor. We welcome your thoughts, participation and suggestions. My dad loves things that are German..
someone please help!! i have a 4 month old blue weimaraner male named max ,and the problem that i am having is that he urinates in his kennel all the time and yes i know what ur thinking all of the obvious answers such as kennel is to big for him or that i dont take him out enough but i have tried all theses things ,even cutting off his water supply at 6 at night to get it out of his system. i have even went as far as cleaning his kennel with a product that doesnt contain chemicals that may remind him of the smell or scent of his urine. How can i stop him from peeing in his kennel all the time??? i know he can hold it because sometimes he does sleep with us at night in our bed he holds it all night long. what can i do?? When river was a pup she too peed where she was kept. She pooped and stepped in it as well. We took her to the vet and she did have a bladder infection and it helped some after it was taken care of, but she just wanted to be with the others while we were gone. Finally we did let her stay with her other 2 sisters, and she was good in the house. This was when she was 5 months old. My blue, Cody, just passed away at three years of age last week because of a protosystemic shunt. One of his symptoms was CONSTANT peeing, we thought it was weird, but didn’t take him in. Please take Max in and have them do blood work, if his ALT is abnormal, it means the liver’s not functioning correctly but it can be corrected if caught early enough. We were to late for Cody, but if Max has this issue, I’d like to know I helped save someone else with the knowledge I’ve gained from this.